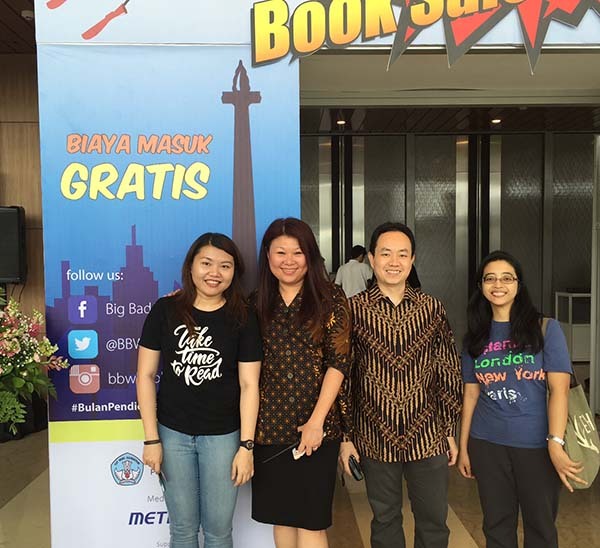 "Good writing does not succeed or fail on the strength of its ability to persuade. It succeeds or fails on the strength of its ability to engage you, to make you think, to give you a glimpse into someone else’s head— even if in the end you conclude that someone else’s head is not a place you’d really like to be." Gladwell put it nicely in the preface of this book. 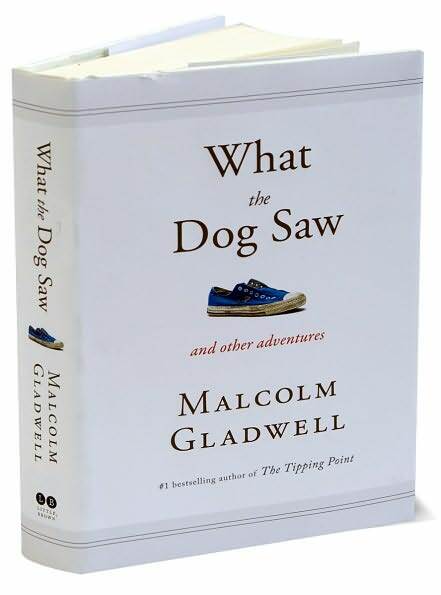 What the Dog Saw is another example of undying spirit and unlacking curiosity that has made Malcolm Gladwell the most brilliant investigator on special things that are still hidden somewhere out there. GQ magazine called him "the most influential thinker in the world". The book is divided into three chapters: "Obsessives, Pioneers, and Other Varieties of Minor Genius", "Theories, Predictions, and Diagnoses", and "Personality, Character, and Intelligence". Each part has different observation, although all of them is based on research and interviews. The wonderful thing about Gladwell is his ability to make the words flow and enjoyable to read. It is like having a business review translated into casual conversations. However, some critics said that his sampling methods have resulted in hasty generalizations and selection biases, as well as a tendency to imply causation between events where only correlation exists. Others said that he is just stating obvious facts, and dressing them up with flowery language and an impressionistic take on the scientific method (as quoted from wikipedia). Well, maybe some people are just lucky. Or, maybe a lot of times we missed out on those "obvious facts". Gladwell was not just succeeded in selling millions of one title, but four titles in 9 years. He is good in making a big story out of a small fact, from hair coloring product to the greatest kitchen utensils ever made. I personally like the third chapter, where Gladwell elaborates the difference between "conceptual" and "experimental" creativity. I have to agree with the general opinion that says brilliance is connected to precocity. A genius does not need a lot of time to figure out his/her ability; but I do have to agree with the fact that sometimes they are just being discovered too late. Gladwell made a comparison between Picasso and Cézanne, who succeeded early and late in their careers. Those paintings made by Picasso in his twenties are worth four-time higher than those made in his sixties. The opposite law applies to Cézanne. Those paintings made by Cézanne in his sixties worth fifteen-time more than those he made when he was younger. Which category is better, I will let you read the whole book to decide. Malcolm Gladwell graduated with a degree in history from the University of Toronto's Trinity College. He has been a staff writer with The New Yorker magazine since 1996. His 1999 profile of Ron Popeil won a National Magazine Award. He is the author of four books, "The Tipping Point: How Little Things Make a Big Difference," (2000) , "Blink: The Power of Thinking Without Thinking" (2005), and "Outliers: The Story of Success" (2008) all of which were number one New York Times bestsellers. "What the Dog Saw" (2009) is his latest book, which is actually a compilation of stories published in The New Yorker.